Well someone had to do it and thank goodness for Rihanna! 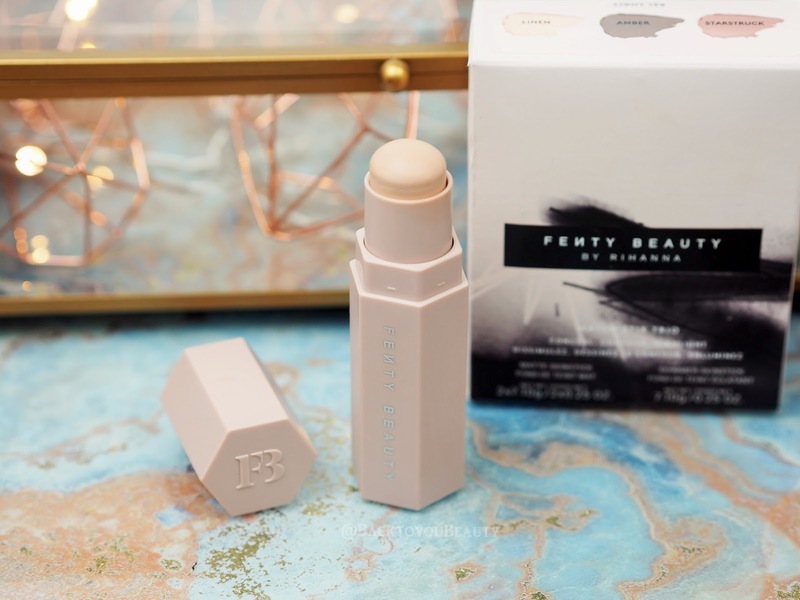 The incredible launch of Fenty Beauty by Rihanna has completely shaken up the beauty industry and taken the beauty world by storm! In case you have no idea what on earth i am talking about, or indeed couldn’t careless who on earth Rihanna is, if you are a beauty fan, then sit up, wake up and get your purse out! Match Stix Trio – A customised trio of base products that suit any skin tone, in magnetic casing making them easy to find in your make up bag….and stick to your fridge…! Available in four different shade ranges, i chose the Light trio. To be fair as i hadn’t swatched these in person before purchasing, i should have stepped up to Medium, but they are incredibly forgiving and almost colour correcting on the skin. These creamy Match Stix have been perfectly customised to give the perfectly matching contour, concealer and highlight shade within your range choice. The Light 100 selection contains Linen concealer, Amber contour and Starstruck highlight. Conceal and contour are Matte and the highlight is a shimmer. 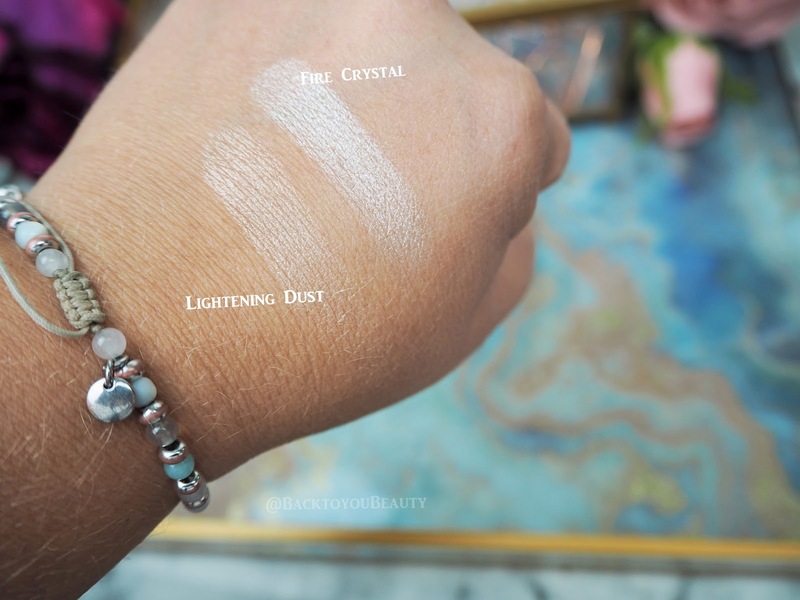 At first i was a little taken aback by the formula, it looks super, super creamy in the bullet but applies dry to the skin, very strange, but with a little blending out it looked beautiful. 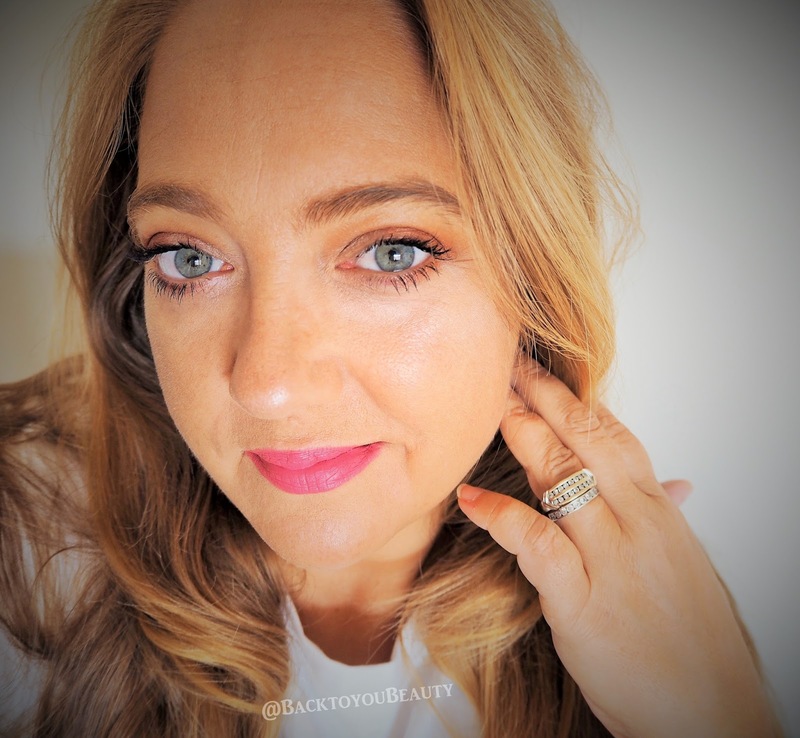 Having not used a stick concealer under my eyes in about twenty years, i was a little worried, but have no fear, the product glides on and does not pull or drag the under eye area at all. I would make sure though, that you have all your skincare on, as, if your skin is really dry, it might cling a little. I was super impressed with the concealer coverage under my eyes as it really did brighten up that dark area and made me look much more awake. Loved it. This is actually my perfect contour shade and i am super impressed with the colour and the formula. 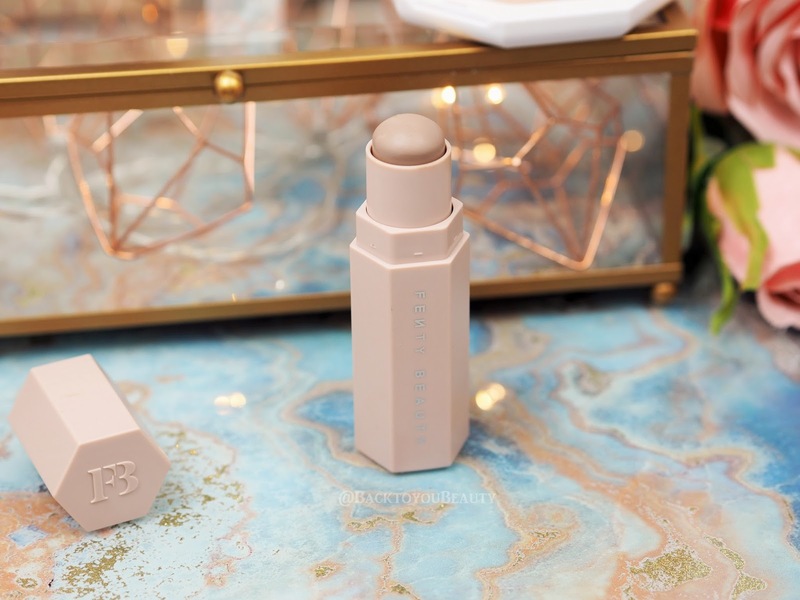 Again, it glides on like butter and blends like a dream leaving a very natural contour that does not look at all ashy. As someone with dehydrated skin, i find cream products beautiful on my skin and would really recommend this product. It is super easy to apply due to the shape of the bullet and you really only need a light hand. This “Iced out Pearl” shade is incredibly pretty. With a beautiful opalescent shimmer that sits beautifully on the skin, it adds a youthful glow to the skin that is perfect for daytime. 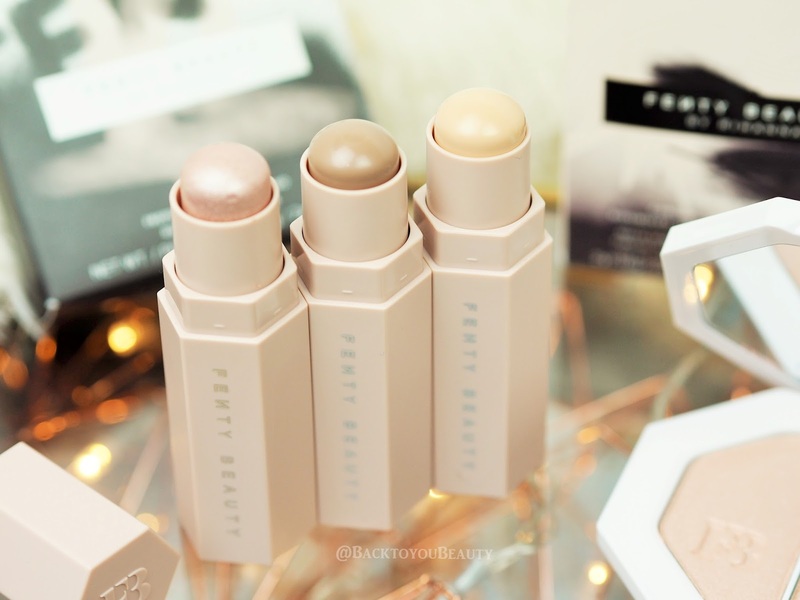 It feels incredibly comfortable to apply and wear and lasts all day. It is completely build-able making it easy to top it up a notch for night time and also looks incredibly pretty on the brow bone and collar bones. 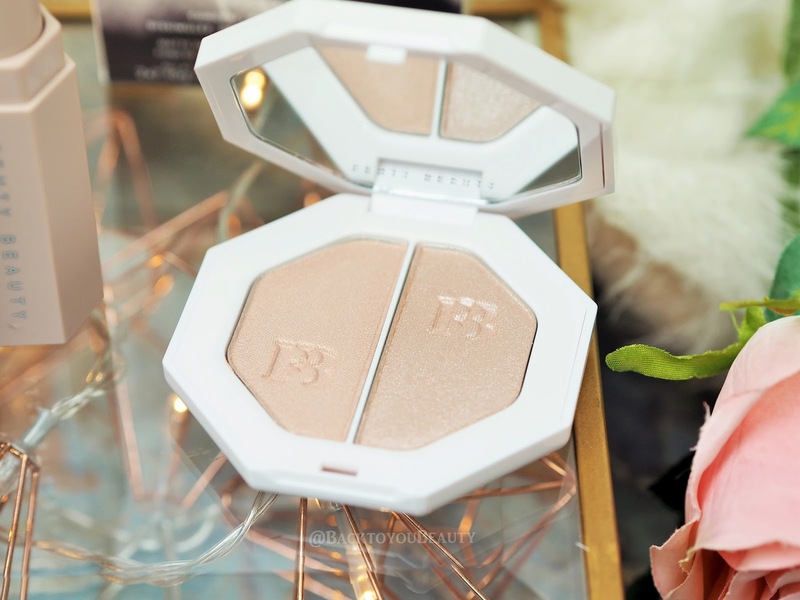 An incredibly versatile highlighter, that makes the skin glow with health. All three of these products are magnetic which makes it easy to find them all in your make up bag or drawer. However as much as that was fun in the beginning, it got a little annoying as time went on as the magnet pull is so strong it can be hard to pull them apart, or if you are in a hurry and just want to pull one product out quickly, you will get them all. However they do make great fridge magnets. I have the shades Lightening Dust and Fire Crystal. As a complete glow-a-holic it was only natural that i was going to choose a highlighter duo and these two are incredibly pretty. The Killawatt has shades that range from subtle glow to full on highlight to the heavens which means you can “Shine bright like a diamond” whatever way you wish. Working side by side with the Match Stix highlighters, these can be layered to create an even longer lasting, brighter, looking glow. The killawat formula is incredible on the skin, it is a sophisticated cream to powder formula that is so soft and easy to apply to the skin with minimal blending required. Lightening Dust is a soft pearlescent sheen and Fire Crystal is a Supercharged Pearlescent Shimmer that is sure to get your noticed. With hues of Rose Gold these are exactly my colours and i am totally addicted. The compact also has a great sized mirror so you can see your face in nicely. These items can all be worn as naturally or as lit as you want them to be. 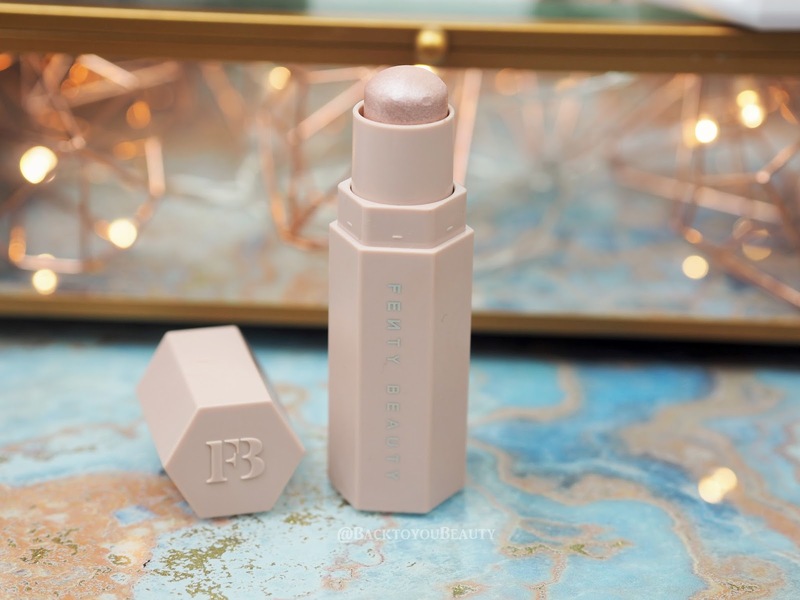 My thoughts on this collection – Big up to Rihanna and Fenty Beauty for launching such an incredible range. As i previously mentioned, whether you are a Rihanna fan or not, as a make up junkie this range really hits the spot for me. The only thing i’m not too sure on really is the packaging. In the box, i love the funky, street art vibes of the range, but once opened, the product looks less high end and borders more on the KKW beauty bandwagon, which personally i’m not a fan of. I think the price is great for the product but she really could have kicked it up a notch with the packaging. I do think this range is amazing and as a 42 year old, would wear and repurchase this happily. I am so looking forward to seeing what else she brings to the world. But is the world ready for Fenty? Beauty houses……its time to sit up and see how its really done. The community spoke and RiRi listened. "Elemis Pro-Collagen Real Results Collection – Your Skin But Better!" "Why the Beauty Industry needs to accept we are Real Women"
I want it all! I've heard amazing things about the foundation too. 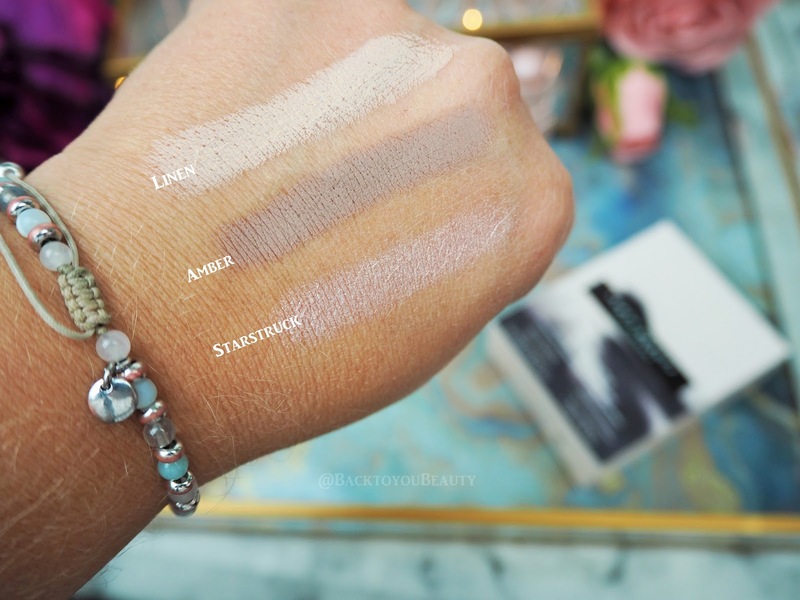 Your swatches are so helpful – I still need to decide what I want from this collection!